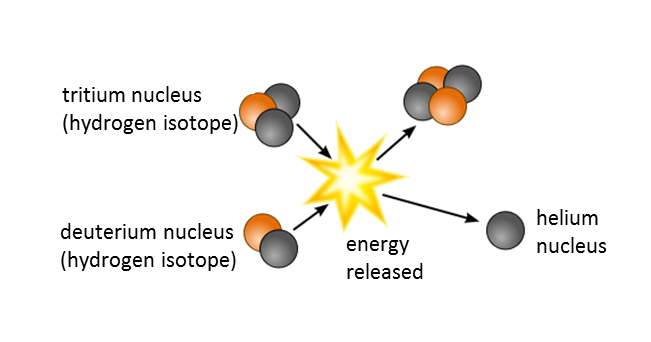 A process in which a uranium nucleus split into two lighter nuclei when bombarded by a high energy neutron. A process in which two uranium nuclei merged together when bombarded by a high energy neutron. A process in which a heavy atom split into two lighter atoms when bombarded by a high energy neutron. 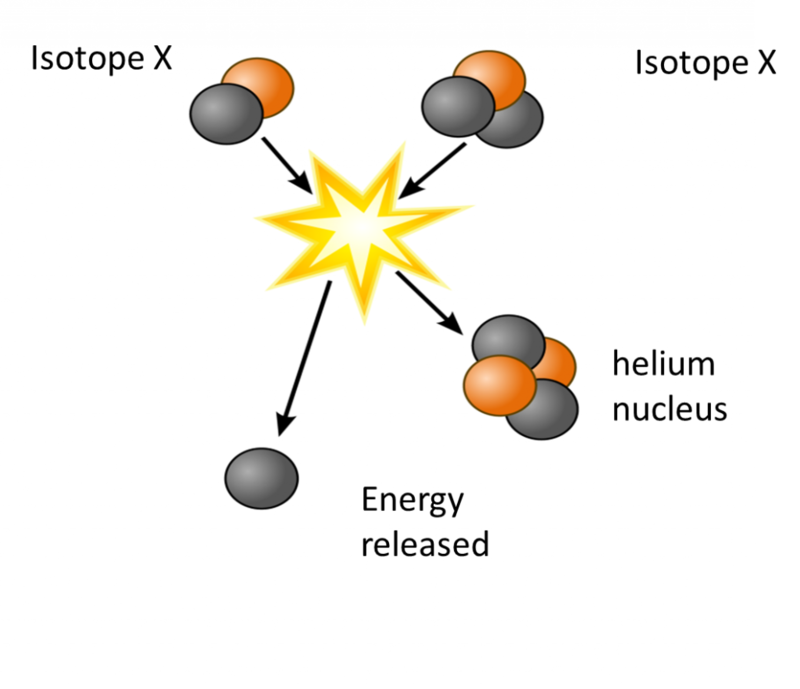 A process in which two atoms merged together when bombarded by a high energy neutron. The correct answer is “A process in which a uranium nucleus split into two lighter nuclei when bombarded by a high energy neutron”. Diagram shows a production of nuclear energy process. What is this nuclear energy process? The correct answer is “nuclear fusion”. What element is used to generate energy in a nuclear reactor? The correct answer is “Uranium”. 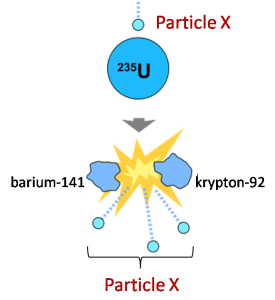 Diagram shows a nuclear fission of uranium-235 bombarded by particle X. The correct answer is “Neutron”. The diagram shows the energy changes occur in a nuclear power reactor. What do energy X and energy Y represent? The correct answer is “Energy X=Heat energy, Energy Y=Electrical energy”. Diagram shows the combination of two light nuclei X to form a heavier nucleus in a nuclear fusion process. The correct answer is “Hydrogen”. Where does nuclear fusion occur naturally to release heat energy and light energy? The correct answer is “Sun”.